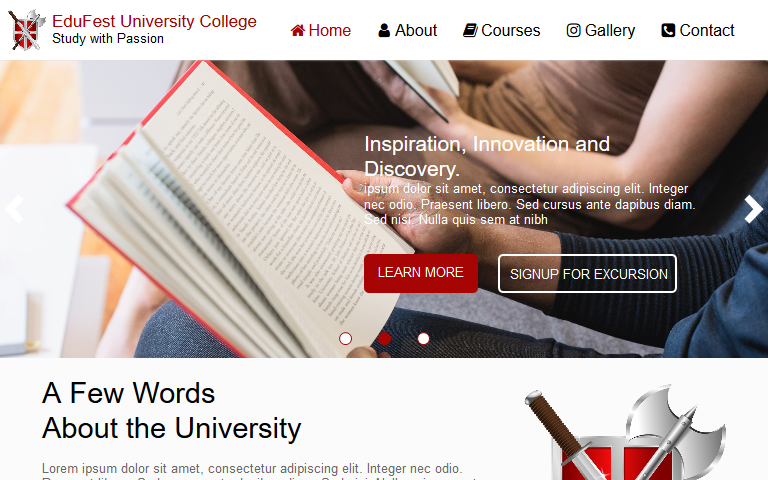 Colegio is a versatile and visually stunning professional WYSIWYG Web Builder template designed for high school or college related websites. It has been beautifully designed in a very smart way to bring the best user experience that you will definitely love. Grab Colegio and start creating amazing websites. Aquinas WYSIWYG Web Builder Template is a professional school website template built to ..
Edufest is a modern and unique WYSIWYG Web Builder Template designed for schools, collages, law..
Edufest is a modern and unique Layout Grid WYSIWYG Web Builder Template designed for schools, c.. Welcome to the best and biggest collection of WYSIWYG Web Builder Templates. Founded Years ago, Dapsonishmeal interactive Web Hub was launched to strategically help build your brand, improve your global web presence, and develop more meaningful relationships with your customers.